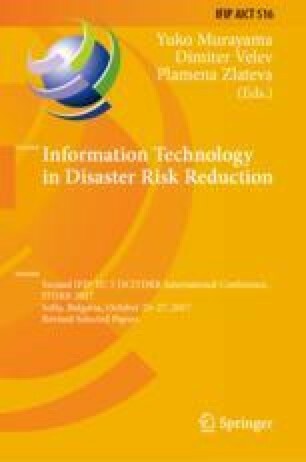 The article is aimed at presenting the proof-of-concept system for automated direct disaster losses, developed within a scientific project of University of National and World Economy, Sofia. The idea behind the project was to create a system that can be used by customers without expert knowledge on physical or economic modeling of disaster effects. Thus alleviating the initial phases of disaster planning in administration, providing raw picture of disaster threats. The article describes in general conceptual and physical schemes of the system and gives main requirements for data and GIS applications that can be used. The process of developing such system shows that it is a complicated, but possible task. The system is not production ready and it is implemented with one physical model for floods. Nevertheless, the possibility to use and reuse the physical model by automation of main model estimation phases gives opportunity for creation and assessment of different alternatives for disaster prevention and relief.